Hi Chris!! It has finally happened. 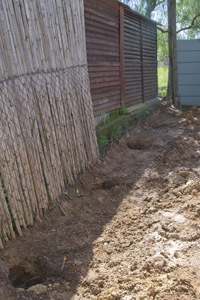 The long discussed idea of walling in the back garden. As you know, we put up temporary shade cloth fencing to give us some privacy. But that was some 6 years ago. We have been in our home for 7 years now (in October), so the temporary shade cloth has stood the test of time – but has to go now!! 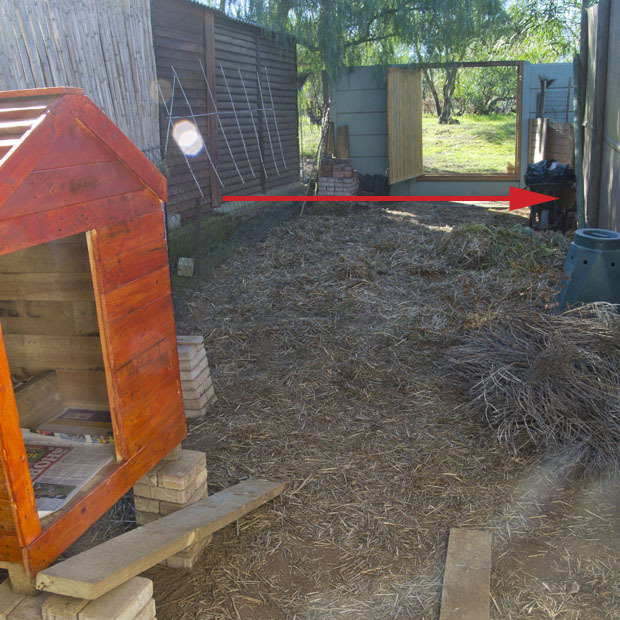 There is so much ground that has been wasted – well, the chickens are in this separated area, and we are now ready to reclaim this. 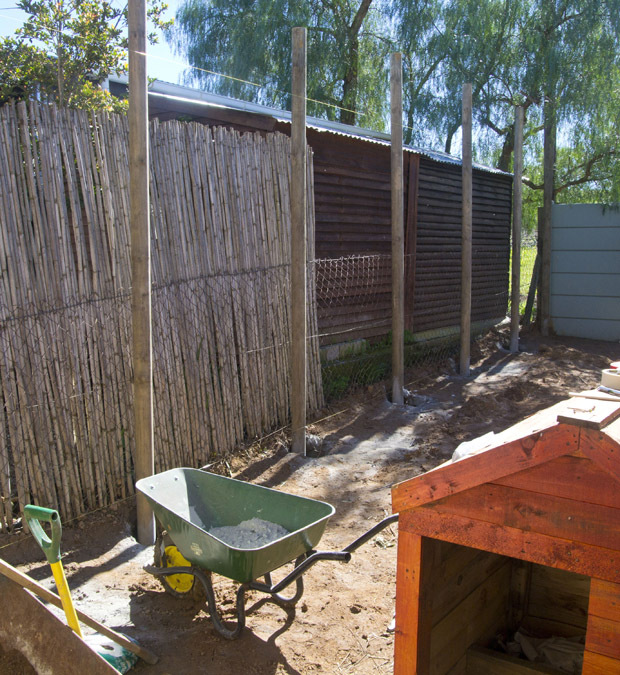 The arrow points to the shade cloth (behind this is my back garden) and the distance of 3.5m wide area x 12m length space that will add to the garden area. It also ended up as the “dump” site for all the orphan things that had no home. 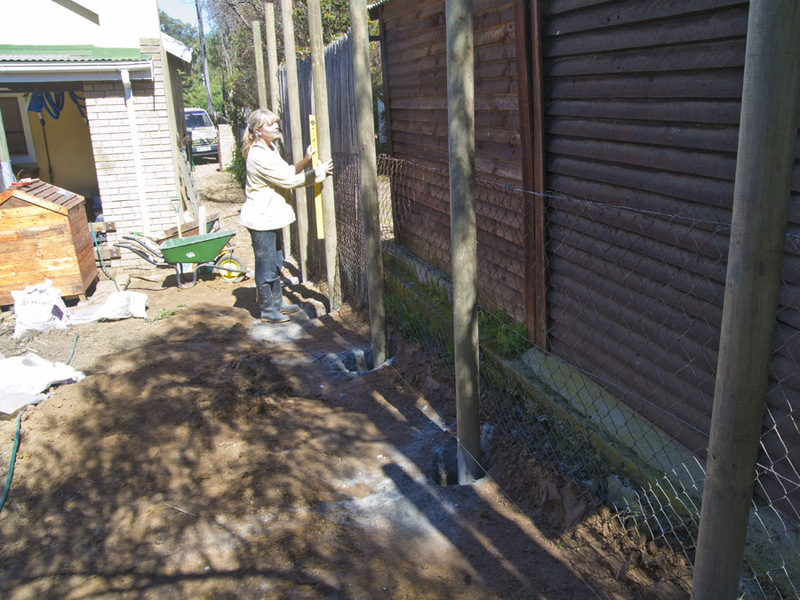 So this too will have to change…..
Have a look at the industrial equipment we had to rent – massive petrol auger with a 225mm drill bit. The noise was so intense it freaked me out, but I had to help Hannes because it is a two-man machine. 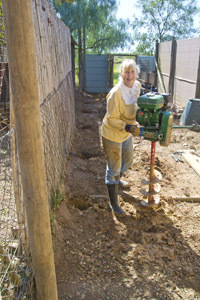 We needed to drill 60-90cm holes x 8 for the long 3m poles we needed to plant. 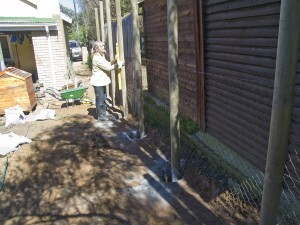 The usually hard-as-concrete ground is now soft and the time is now to get this done! Summer is too hot and the ground is too hard and I am fit and ready to do a man’s job now!! 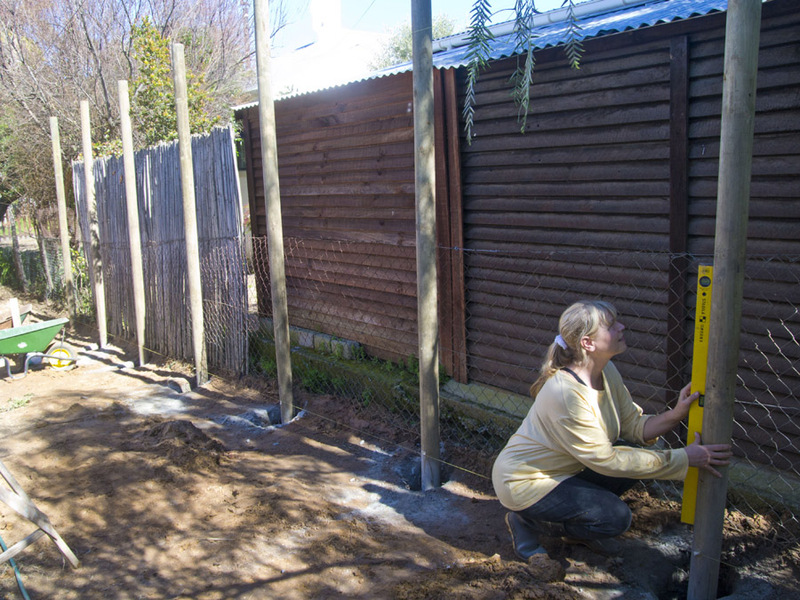 Our fence won’t have that boxed look, but the corrugated steel is clean and cost effective as well as going well with my back garden look. Hi Alan – Yes! I will definitely show you when finished! 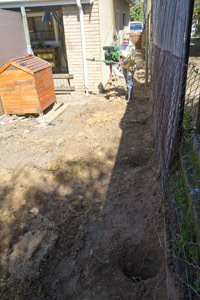 The great part is that the back garden will increase by 36sqm. That’s a big piece of no mans land we are getting back. No fair waiting until the ground is soft! I’m interested to see how it looks when finished. It really is a tall fence, isn’t it?